Looks (and smell) aren’t everything; it’s the inside that counts. Slimy, stinky and a very acquired taste, many newcomers find natto to be an offensive food—but if you can look past its flaws, you’ll find that there are very few foods that can compete with its powerful health benefits. Natto has been a part of the Japanese diet for around a thousand years, although some accounts claim that it’s been around even longer. According to a popular legend, Prince Shotoku was riding his horse through a town in Shiga Prefecture and stopped to feed his horse some boiled soybeans. He wrapped the leftovers in some straw and hung them in a tree. When he took them down the next day, the soybeans had fermented overnight and had become stringy. The story goes that the people in the village loved the taste so much that they started producing it in large quantities and spread it across the country. Nowadays, natto is made by fermenting soybeans with Bacillus subtilis, and the process results in the stringy texture and pungent smell. Although some experts advise against consuming soy because of its hormone-disrupting characteristics, they commonly agree that this danger is eliminated once soybeans are fermented because of how easily they are digested. Even those with a soy allergy can often eat natto without a problem. Natto is a probiotic powerhouse with plenty of vitamin K, which is great for bone density and preventing blood clots. It’s also rich in protein, vitamin C and manganese, as well as iron, fibre and a slew of other nutrients. In fact, it’s such a perfectly nutritious food that some say one serving of natto is a complete meal. Regular consumers of natto are reported to have fewer strokes, fewer heart problems and even a reduced risk of certain cancers. The stringy texture is created by the broken-down protein of the soybeans, which is also the reason for natto’s sliminess. “Slimy” isn’t an appetite whetting adjective for those accustomed to the Western diet, and it’s no surprise that a lot of people are turned off by the mere appearance of natto. The smell is yet another obstacle, with an odour that resembles rotting cheese. As if that’s not enough to make beginners avoid it like the plague, some first-timers swear that it tastes like eating stinky socks. Despite the initial aversion you might have towards natto, it’s very likely that you’ll end up loving it, as do the majority of people in Japan. In any case, its unique and mighty nutritional profile certainly makes it worth a try. The most basic serving fashion is mixing the natto with some sauce, such as soy sauce, or with mustard (these often come with each package) and stirring it into rice, but there are several other great, more entry-level methods for acquiring the taste, such as mixing it into your miso soup. For most people, natto takes some time to get accustomed to—but who knows? You may end up loving it right off the bat. 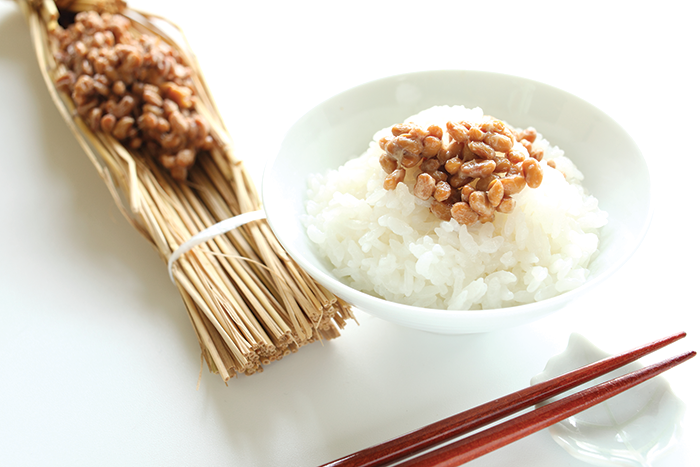 Natto is considered a beauty food that helps clear your skin and combat aging. Natto is a probiotic food with live culture that helps keep your gut full of healthy bacteria. Natto’s sticky webbing is stimulated when it is stirred, and the more you stir, the healthier it gets. This beloved national food can be found in all kinds of dishes that you might be familiar with—from spaghetti to pizza. The Kansai area is one of the few regions of Japan where the majority of people do not like natto. If you can’t stomach natto but want its health benefits, you can find nattokinase supplements at most health stores, although they don’t deliver quite as many nutrients as the actual food. 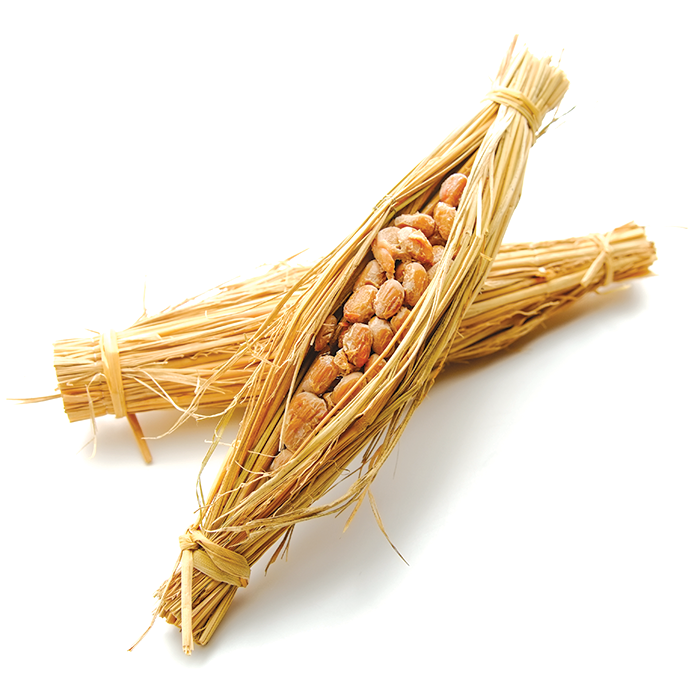 Over 60 per cent of people in Japan eat natto on a regular basis, while 24 per cent eat it daily. Next ArticleZojirushi - You’ve never tasted water heated so perfectly.